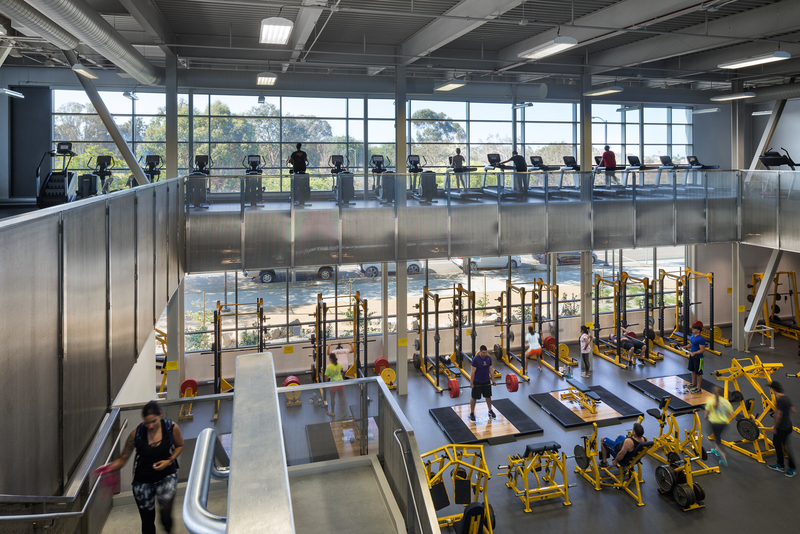 A dynamic athletics and recreation center, the Mesa College Fitness Center serves both the college’s 20 athletic teams and entire student population. 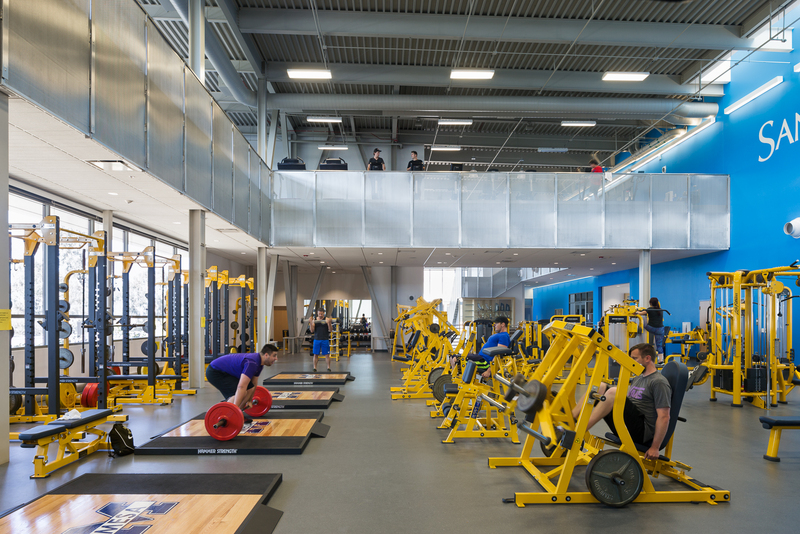 Equipped with a fitness training lab, weight training space, aerobics studio, spin studio and office space, the two-story center is uniquely calibrated to help athletes and casual fitness enthusiasts push limits and achieve goals. 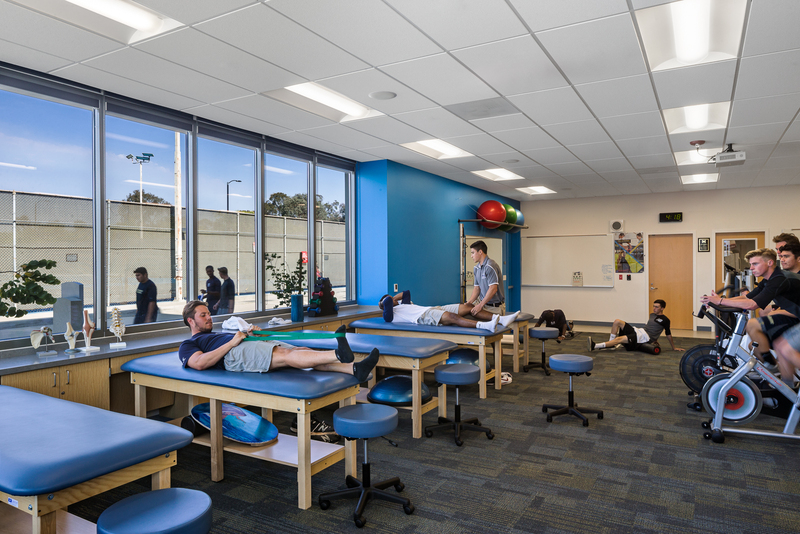 Strategically located along key circulation paths to create a new campus gateway, the building is surrounded by plazas that enhance the student experience, socialization and fitness programming opportunities. 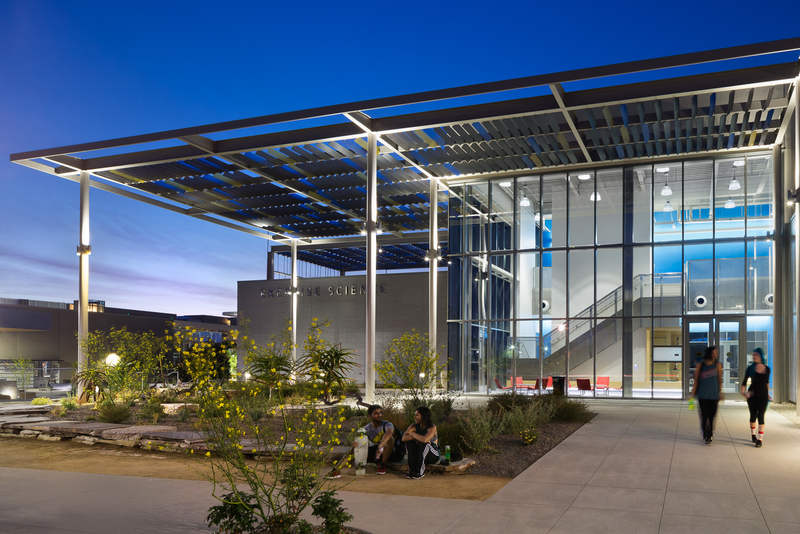 The building embraces transparency, allowing expansive natural light inside and offering stunning views of the campus and adjacent canyon. 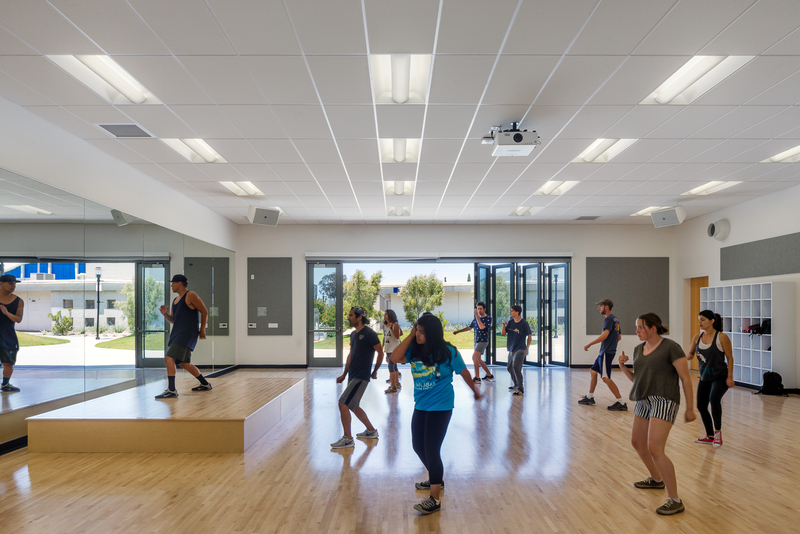 Beyond its campus value and exciting design, the Mesa College Fitness Center stands out as a LEED Silver building committed to high performance. 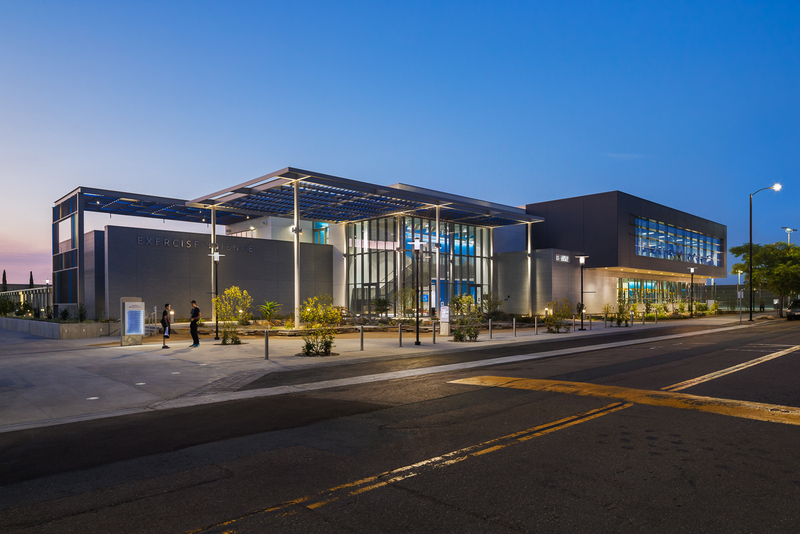 The building achieves 28% energy savings, 82% and 75% reductions in irrigation and potable water respectively, and diverted more than 75% of construction.